PCBs that incorporate both miniaturized and large components can often be difficult to print in one stroke due to the different paste volume requirements. DEK Electroform variable aperture height technology (VAHT) solves this issue with aperture-specific gasket overgrowths that create more height for larger paste volume deposits. Around defined apertures, gasket height can be 1 to 2 mils higher than the base stencil thickness. 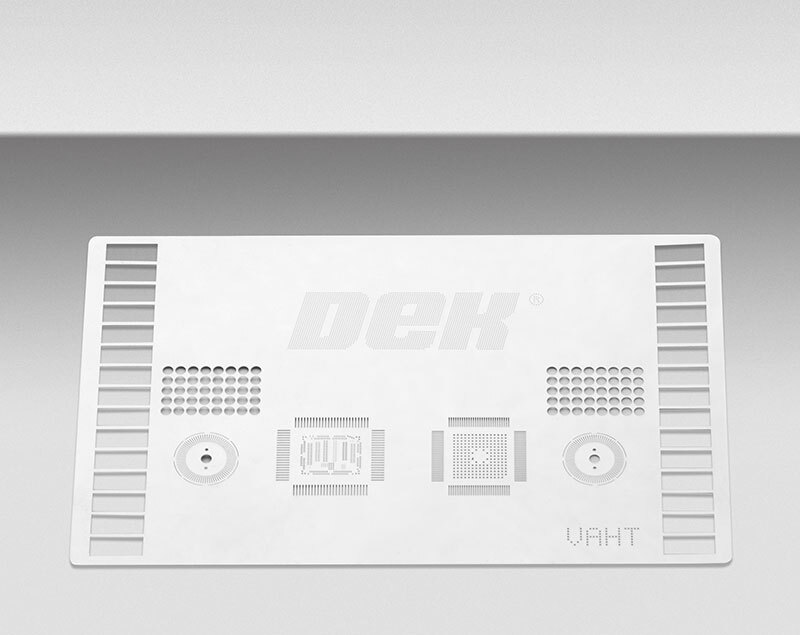 Talk to our team about DEK Electroform VAHT.